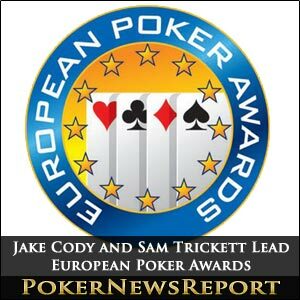 Some of the biggest names in poker will be battling it out to be crowned the Player of the Year at the upcoming European Poker Awards to be held at the Aviation Club de France in Paris. English stars Jake Cody – a one-time World Series of Poker (WSOP) bracelet winner – and Titan Poker-sponsored Sam Trickett, a high stakes cash games specialist, will face challenges from French Triple Crown winner Bertrand ‘ElkY’ Grospellier, last year’s WSOP main event winner Pius Heinz, from Germany, Russian Andrey Pateychuck – who picked up $937,530 for winning the European Poker Tour (EPT) San Remo main event last October – and Ukrainian Team PokerStars Pro Eugene Katchalov, who last year collected $1.5 million for taking down the PokerStars Caribbean Adventure $100,000 buy-in Super High Roller tournament. 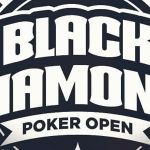 The event – to be hosted by former European Poker Players Association (EPPA) secretary Nic Szeremeta – will take place on Wednesday, January 25, during the Euro Finals of Poker, with the winners selected by a group of poker industry experts, including awards honorary president Szeremeta, Finnish poker star Juha Helppi, host and poker player Kara Scott, and veteran poker media members such as Barry Carter and Jerome Schmidt. But it wasn’t just the nominees for Player of the Year which were announced, as Rochdale’s Cody – a Team PKR Poker Pro – and Nottinghamshire’s Trickett also gained recognition in the Best Tournament Performance category, alongside Heinz, one-time WSOP bracelet winner Fabrice Soulier, of France, and German Benny Spindler, who won $1,172,241 after securing the main event title at the EPT/UK and Ireland Poker Tour (UKIPT) London back in October. 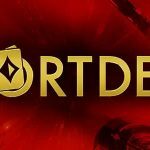 Another Englishman, Brighton’s Chris ‘Moorman1’ Moorman, is in line for the Internet Player of the Year, although he faces stiff competition for that award as the likes of Team PokerStars Pros Jude Ainsworth, of Ireland, and Viktor ‘Isildur1’ Blom, of Sweden, Frenchman Rui Cao and Finnish star Ilari ‘Ilari FIN’ Sahamies have also been nominated. Additionally, Late Night Poker winner and WSOP November Niner Sam Holden, of Sussex – who collected $782,115 for his ninth-place finish in Las Vegas and is sponsored by 888 Poker – is joined by France’s Adrien Allain, Heinz, Ukrainian Oleksii Kovalchuk – who won the $2,500 buy-in No-Limit Hold’em six-handed event at last summer’s WSOP for $689,739 – and Pateychuk in the Rookie of the Year section. Meanwhile, two Englishwomen, Team PokerStars Pros Vicky Coren and Liv Boeree, are nominees in the Europe’s Leading Lady category, alongside French duo Nesrine Kourdourli and Barbara Martinez – the WSOP Europe (WSOPE) No-Limit Hold’em ladies’ event winner from last year in Cannes – Russia’s Natalia Nikitina, who added to her career winnings with an extra $332,624 for taking down the Euro Finals of Poker (EFOP) Diamond Championship/World Poker Tour (WPT) Regional Series in Paris last February – and Italian Cecilia Pescaglini, who finished second to Matt Giannetti in the WPT Malta main event in September. The English dominance continues into the Poker Staff Person of the Year award, with Dusk Till Dawn live poker director Simon Trumper, UKIPT president Kirsty Thompson and Warren Lush, of Bwin Party’s international public relations department, fighting it out alongside Aviation Club de France tournament director Nicolas Fraioli and Austrian Edgar Stuchly, who is president of the EPT. Two more English stars, Neil Channing and Hendon Mobster Barny Boatman, will face Jesse ‘The Voice of Poker’ May, London-based Team PokerStars Pro Grospellier and Lithuanian legend Tony G in the Rob Gardner Memorial Award for the Poker Personality of the Year category. There is even an English tournament included on the Best European Event of the Year category, with the EPT London leading the way. (PPT) Final, WPT Grand Prix de Paris, and the WSOPE Cannes. Finally, the nominations for the Lifetime Achievement award will be announced at the ceremony. Jake Cody (England), Bertrand ‘Elky’ Grospellier (France), Pius Heinz (Germany), Eugene Katchalov (Ukraine), Andrey Pateychuk (Russia) and Sam Trickett (England). Cody, Heinz, Fabrice Soulier (France), Benny Spindler (Germany) and Trickett. Adrien Allain (France), Heinz, Sam Holden (England), Oleksii Kovalchuk (Ukraine) and Pateychuk. Liv Boeree (England), Victoria Coren (England), Nesrine Kourdourli (France), Barbara Martinez (France), Natalia Nikitina (Russia) and Cecilia Pescaglini (Italy). Nicolas Fraioli (tournament director at the Aviation Club de France, France), Warren Lush (international public relations department Bwin Party, England), Edgar Stuchly (European Poker Tour president, Austria), Kirsty Thompson (president of the UK and Ireland Poker Tour, England) and Simon Trumper (Dusk Till Dawn live poker director, England). Jude Ainsworth (Ireland), Viktor ‘Isildur1’ Blom (Sweden), Rui Cao (France), Chris Moorman (England) and Ilari Sahamies (Finland). Barny Boatman (England), Neil Channing (England), Grospellier, Tony Guoga (Lithuania) and Jesse May (Denmark). 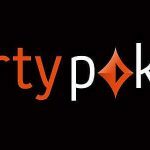 European Poker Tour (EPT) London, International Poker Open Dublin, Partouche Poker Tour (PPT) Final, World Poker Tour (WPT) Grand Prix de Paris, and World Series of Poker Europe (WSOPE) Cannes.